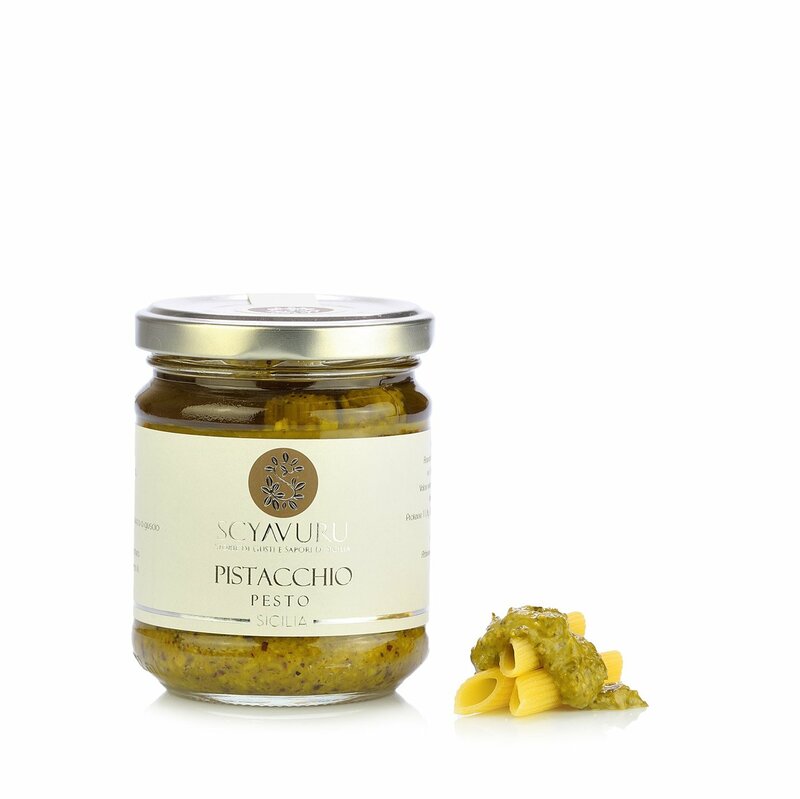 A savoury pesto with an unmistakable Mediterranean flavour: this is the pistachio pesto from Scyavuru. 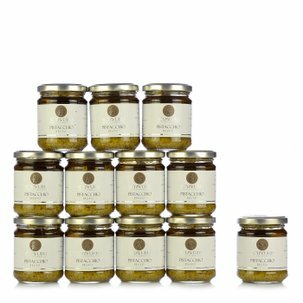 Prepared with Bronte pistachios, extra virgin olive oil and a pinch of salt and pepper, this is an elegant product that can add an extra touch to traditional Mediterranean dishes. This Scyavuru pistachio pesto is ideal on a plate of pasta with the flavour and aroma of Sicily, perhaps adding a few toasted pine nuts or ground walnuts. In addition to this classic combination, the Scyavuru pistachio pesto is also delicious with cheese: from mozzarella to grana padana, for a delicious appetiser or an out-of-the-ordinary aperitif. Ingredients Pistachio, Extra virgin olive oil, salt, pepper. ALLERGENS: Nuts and derived products (e.g. walnuts, hazelnuts, cashews, etc. ), pistachios. For more information on product labels, please contact our Customer Service department. The information on the labels of the products may vary for reasons beyond our control, therefore, there may be discrepancies between the information on the site and that on the products delivered. Please always check the information on the product before consumption or use.